Last week, 60 pro basketball and pro hockey franchises officially put last season in the past and began moving forward by taking part in the NBA and NHL drafts. For some teams, like the reigning champion San Antonio Spurs and Los Angeles Kings, the draft was merely reinforcing what is already strong. For others, like the lowly Milwaukee Bucks and Florida Panthers, it was about rebuilding from the ground up. But as eager as the Bucks and Panthers were to welcome top draftees Jabari Parker and Aaron Ekblad as beacons of hope for the future, imagine how much more pressure would be on those newcomers if they were each expected to carry a team that had been kicked out of the major leagues and was fighting to not get demoted again. That is the situation facing the Queens Park Rangers soccer club of the English Premier League, and they are reportedly targeting veteran striker Demba Ba in an effort to turn their fortunes around sooner than later. After finishing in last place in the EPL with a 4-21-13 record in 2012-13, QPR was one of three clubs relegated to the Football League Championship for the 2013-14 season. They did well enough in the lower division to earn an invitation back to EPL for next season, but obviously QPR needs an infusion of talent to stay among the elite. That’s where Ba comes into the picture. A prolific corer during past stints with Hoffenheim (Germany) and Newcastle United (EPL), the Senegalese Muslim forward has struggled to find his top form in parts of two seasons with Chelsea (EPL). This past season he scored eight goals in 29 appearances for Chelsea, which finished third in the Premier League. 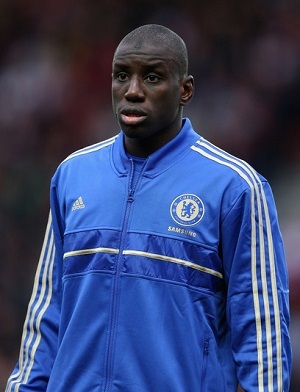 Rumors have been circulating for months that Chelsea would make Ba available on the transfer market this summer. The most constant and most recent word on the street is that QPR and some teams in Turkey are going to make an expensive bid for Ba. While Ba wasn’t a regular starter by the end of this past season with Chelsea, he was also vying for playing time on one of the top teams in Europe. On a club like the Queens Park Rangers, the 29-year-old could shine again as the face of a rebuilding franchise.